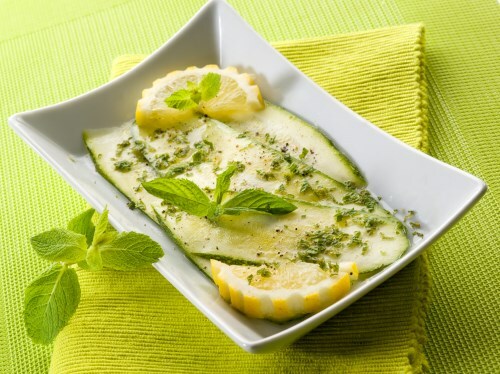 Place zucchini slices in a colander for 10 minutes, allowing juices to release; pat dry. Combine zucchini, onion, and parsley together in a bowl. Mix lemon zest, lemon juice and Dijon mustard together in a separate bowl; season with salt and pepper. Slowly stream extra virgin coconut oil into lemon juice mixture while whisking constantly until dressing emulsifies. Pour dressing over zucchini mixture; toss to coat.